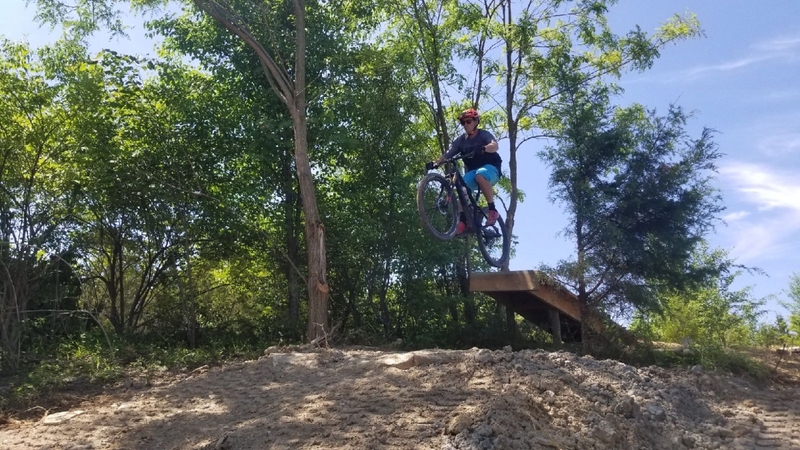 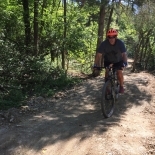 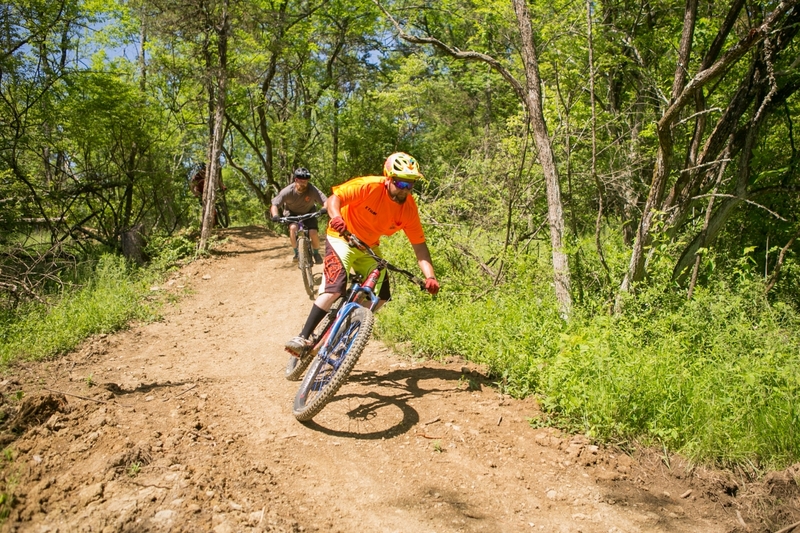 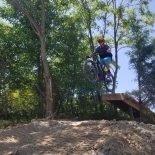 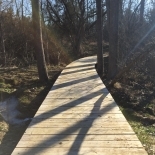 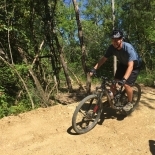 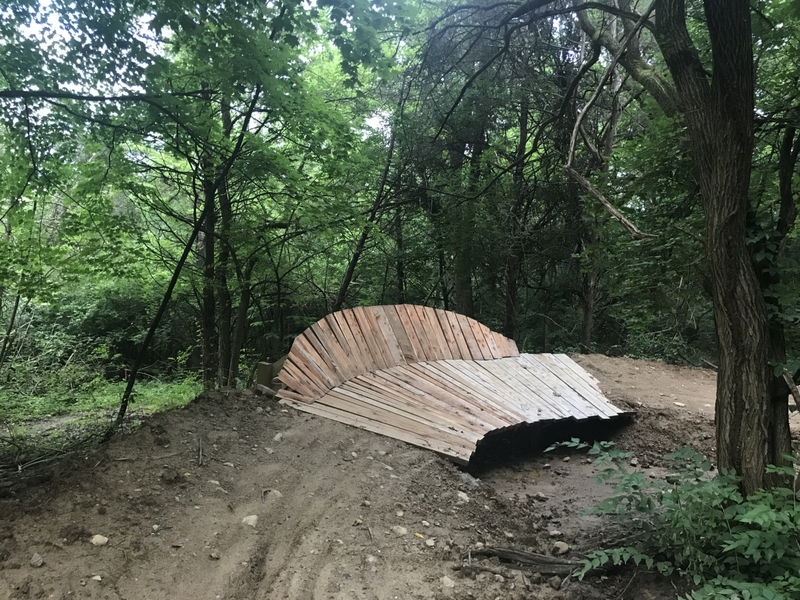 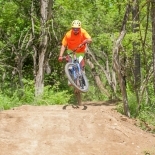 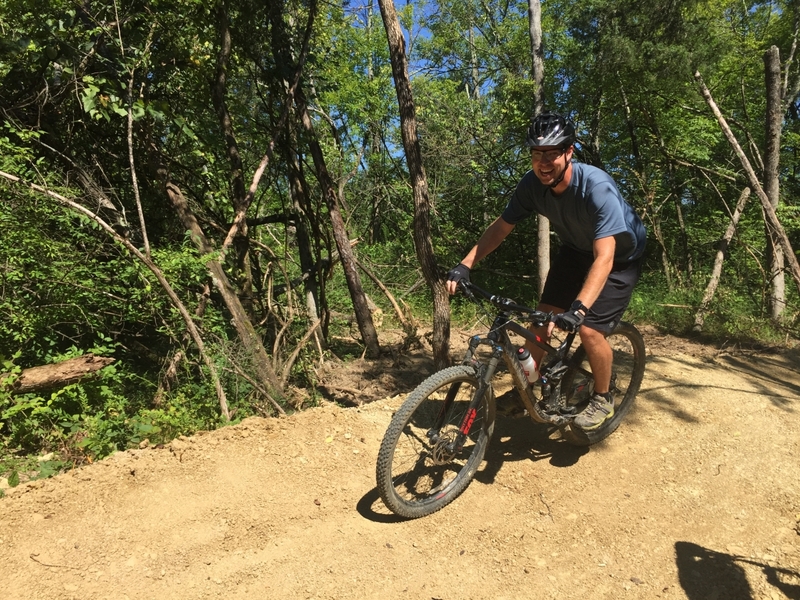 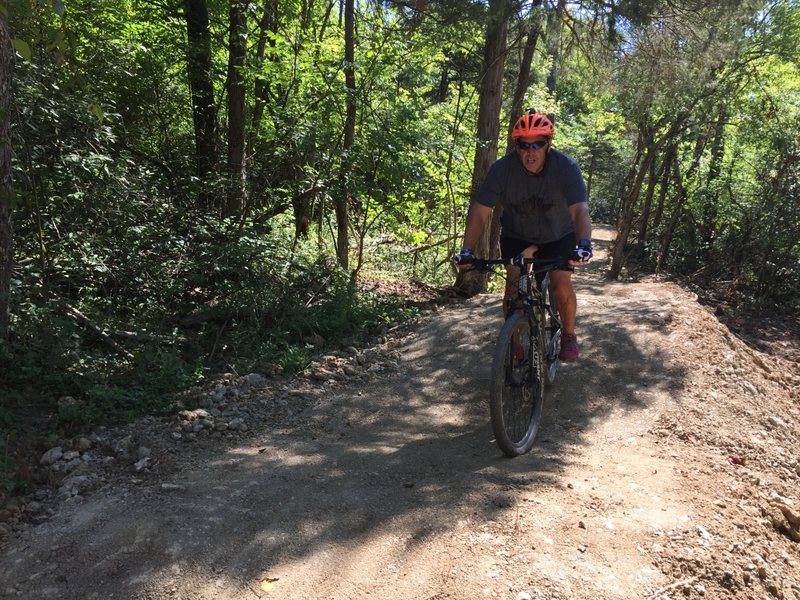 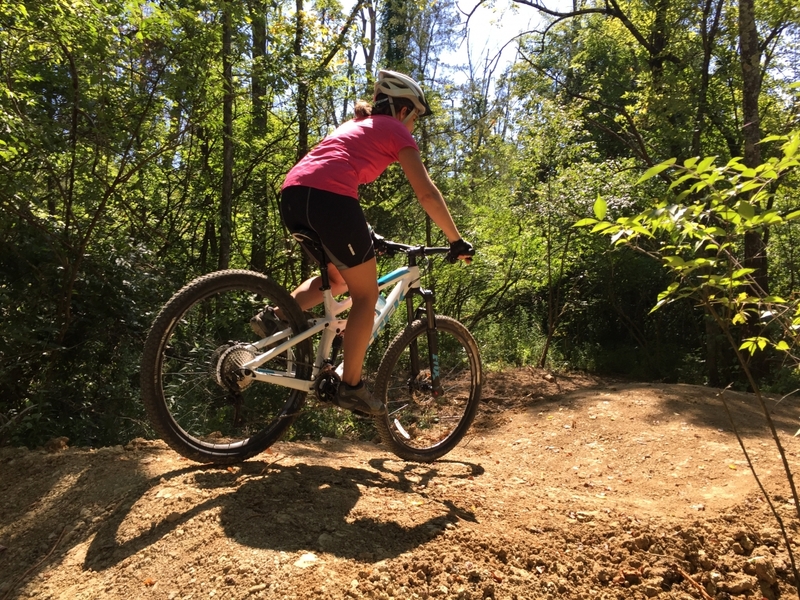 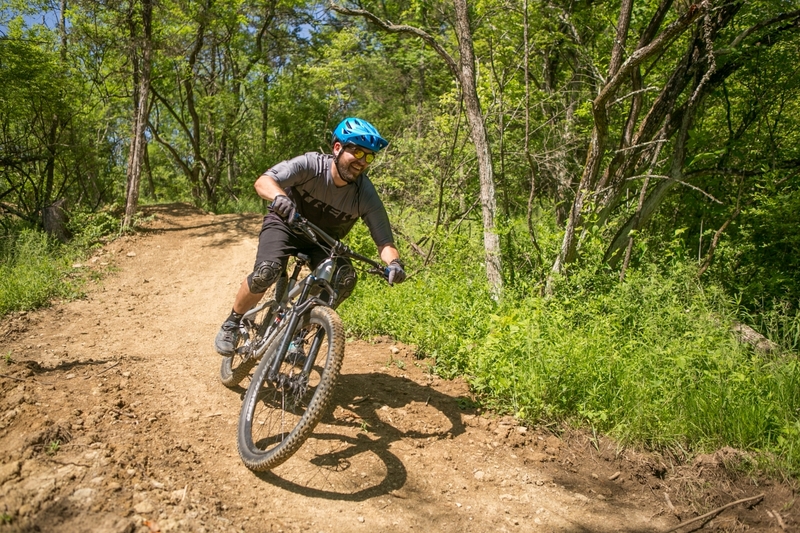 The bike park has about two miles of mountain bike trails for riders of all skills and abilities to enjoy. 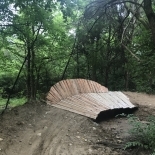 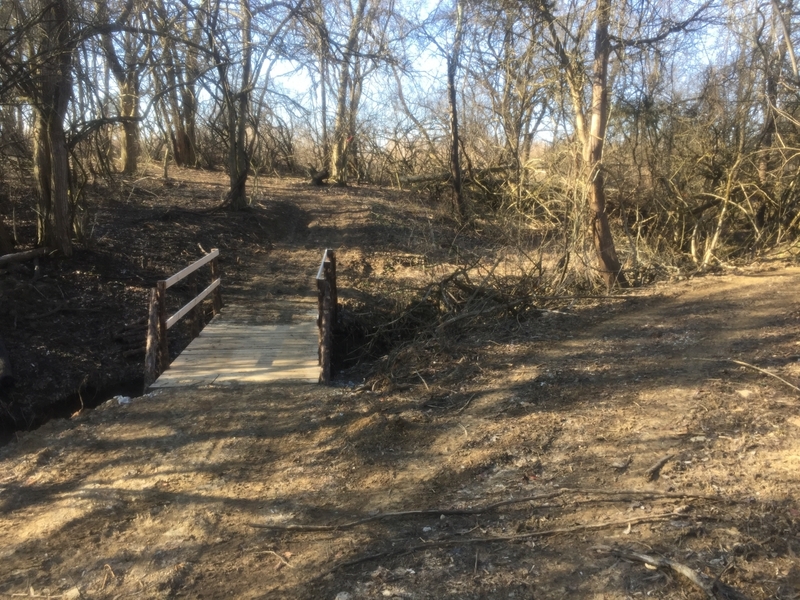 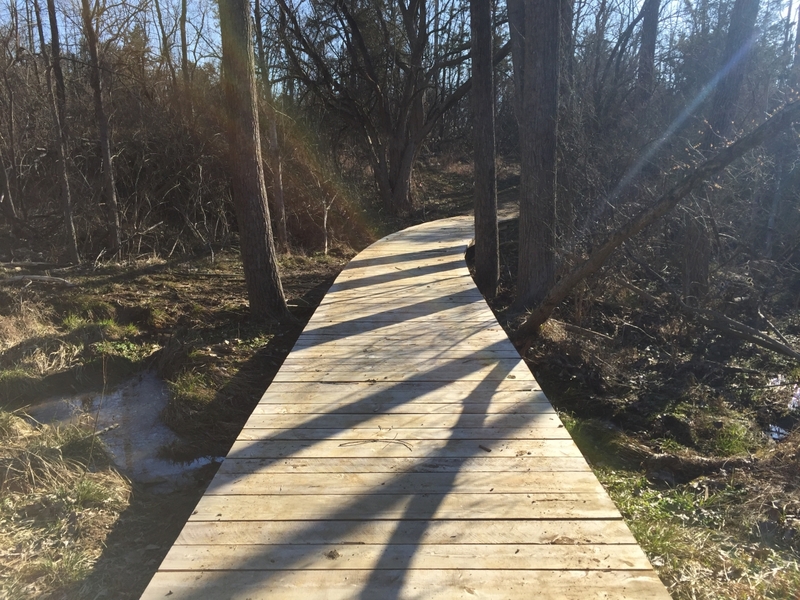 It includes a flow trail, bridges, creek crossing, and optional wall ride and drops. 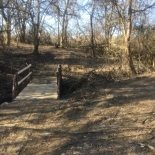 The trail head is located in the wooded area behind the park map kiosk. 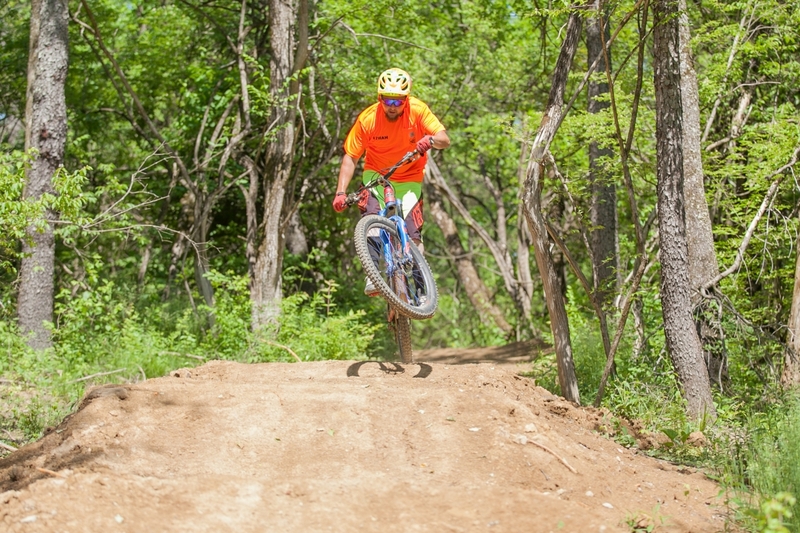 We recommend mountain bikes and off-road ready kids' bikes for this area of the bike park.